In medium bowl, combine all ingredients except buns and shoestring potatoes; mix well. Cover; refrigerate until serving time. 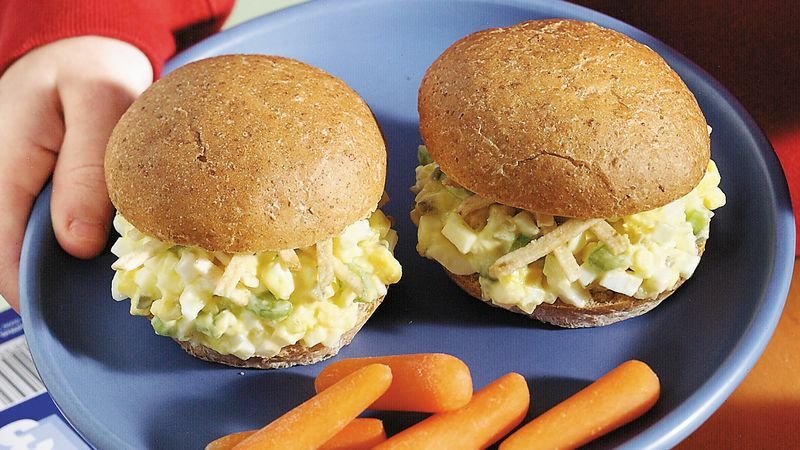 To serve, spread egg salad mixture on bottom halves of buns. Sprinkle with potatoes. Cover with top halves of buns.